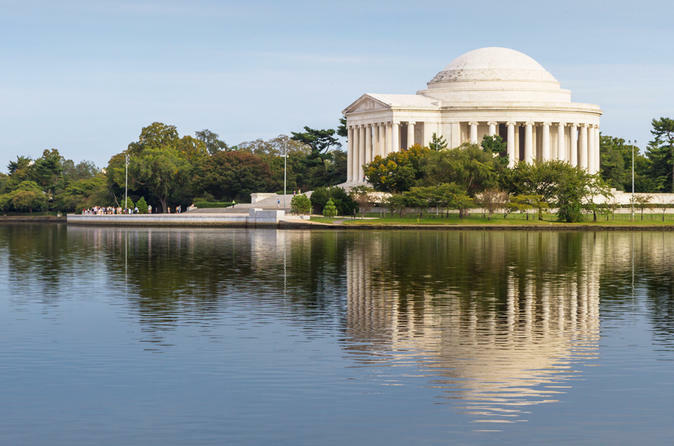 See the many monuments and memorials in Washington, DC on this private, half-day tour. Spend four hours exploring the points of interest in and around the nation's capital with a personal guide in a comfortable minivan. Pick from any combination of attractions desired, like the White House, the Lincoln Memorial, the Washington Monument, and many others. A local hotel pickup and drop-off is included. Begin this private, 4-hour excursion with a local hotel pickup. Depending upon the size of the party, select from a car, minivan, or bus. Build a customized list of must-see attractions, like the US Capitol, the White House, the Washington Monument, the Lincoln Memorial, the Jefferson Memorial, and any other popular points of interest in Washington, DC and the surrounding area. Also, check out places like historic Ford's Theatre (where Lincoln's assassination took place), the Smithsonian Institution, the National Archives Building, and many more. While sightseeing around DC, the tour guide will provide commentary on the rich history of the area. Enjoy the flexibility to select the start time, as well as the language of the narration. After a comprehensive 4-hour adventure, the tour concludes with a hotel drop-off.